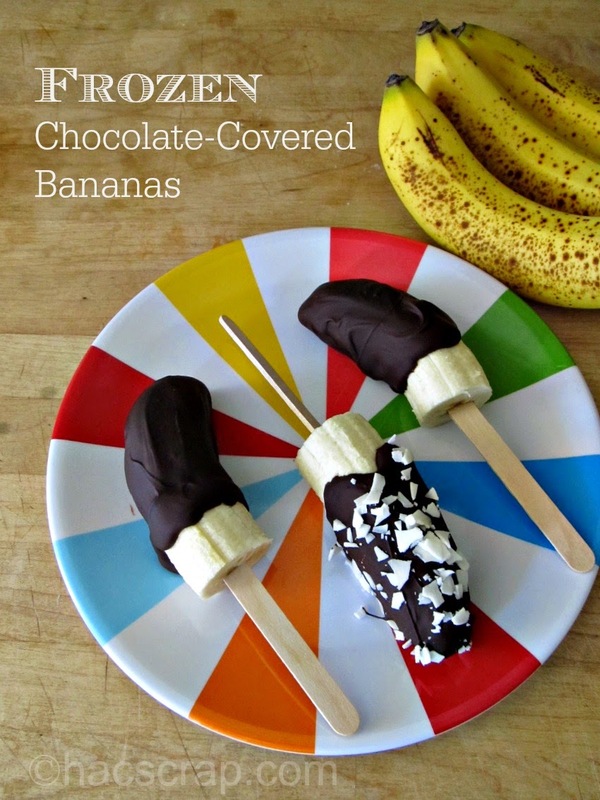 This summer, I have vowed to try and make fun and different snacks for my kids. Getting creative in the kitchen and bringing back some classics. 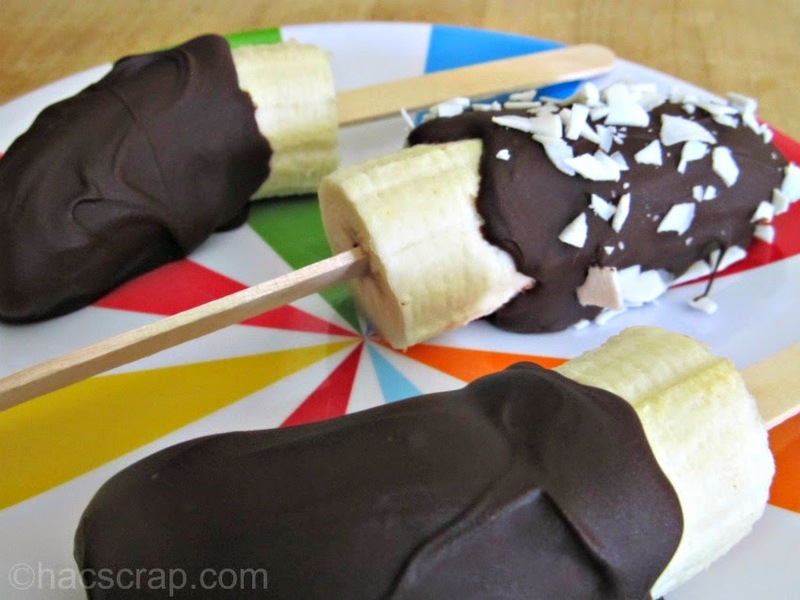 I got an email the other night, and it had chocolate covered bananas pictured in it . . .I thought - YUM! So I set out to make a batch. 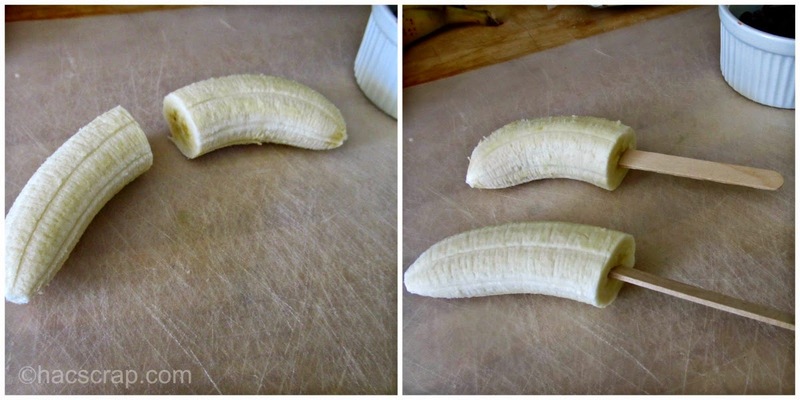 Peel your bananas and slice them in half. Gently insert the craft sticks into the round end, pushing about half way in. Melt some chocolate chips in a microwave-safe bowl (I do mine on 30 second intervals). Stir up the melted chocolate to get it nice and smooth. 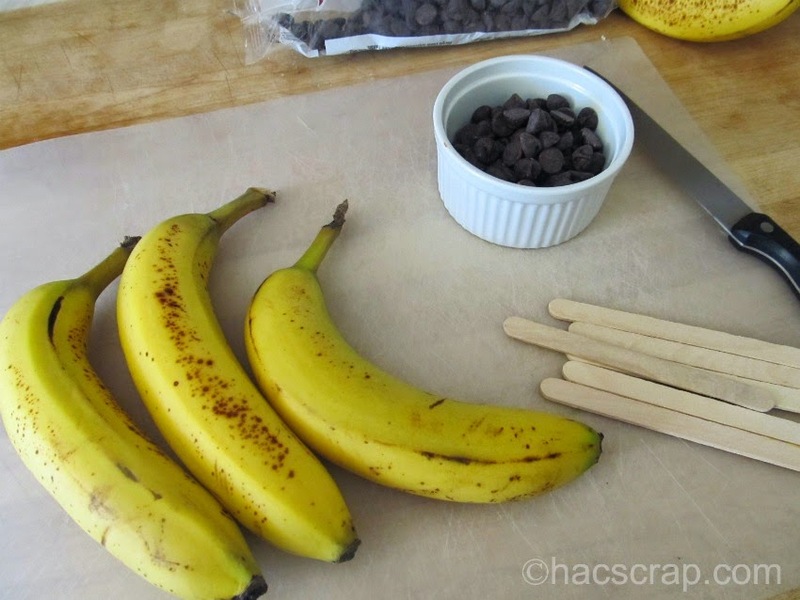 Holding the banana by the stick, drop chocolate over it, covering about 2/3s of the banana. 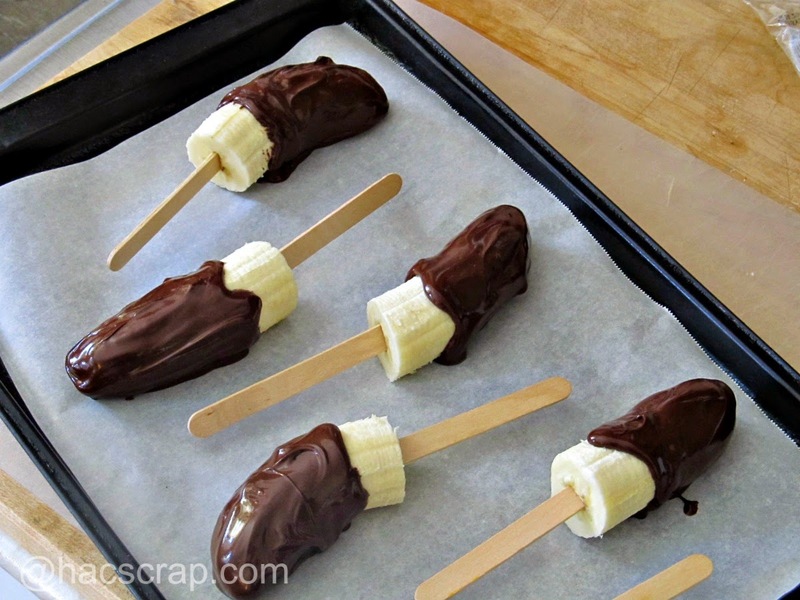 Lie the chocolate covered banana on your baking sheet. Repeat, melting more chocolate if you run out. If you want, you can sprinkle the covered bananas with shredded coconut, chopped nuts and/or sprinkles. I bet chopped pretzel or peanut butter chips would be yummy too. Slide the tray into your freezer to let the chocolate set - about 10 minutes. What snacks are you enjoying this summer? I love this! 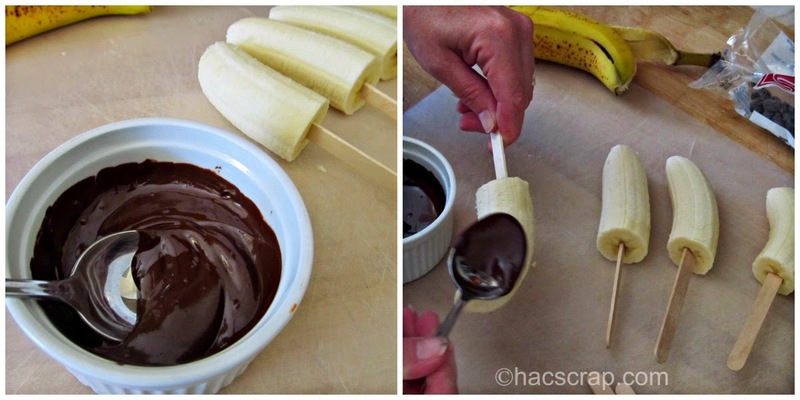 I could make with Organic bananas and chocolate too! That's a GREAT idea - thanks for sharing! !